Around 1720 Richard Holt of Lambeth was granted a patent for an artificial stone. In 1769, after the patent expired, a Mr Coade set up a factory in north Lambeth, close to the one belonging to Holt. After Coade’s death, first his wife Eleanor Coade carried on the business until her death in 1796 and then their daughter, confusingly also called Eleanor Coade, took control until her death in 1821. The family business was continued by her relatives, John Sealy and William Croggon, till 1840 when the company ceased to trade. The younger Eleanor Coade, often referred to as Mrs Coade although she never married, managed to get many well-known sculptors to use her material including John Flaxman (Tragedy and Comedy on the Royal Opera House, Covent Garden, Minerva on the east façade of the National Gallery), John Charles Felix Rossi and John Bacon. Many other examples of Coade stone still exist such as the Lion on the south bank of Westminster Bridge, the statues outside the John Soane Museum, and smaller pieces can be seen at the Garden Museum near Lambeth Bridge. Coade Stone varies from Holt’s recipe by the addition of, among other things, finely ground quartz or glass to form an easily moulded, acid- and frost-resistant, hard-wearing, weatherproof product. The Coade family came to London from Lyme Regis in the 1760s and it seems likely that one ingredient of their ‘secret formula’ was the white china clay that had been discovered in Cornwall a few years previously. The use of a large proportion of ‘grog’ (finely ground pre-fired clay) in the mix, which would reduce shrinkage during firing by more than half, is another probable factor in the process which enabled the Coade factory to produce, in one piece, stoneware figures up to nine feet in length. The grindstone used to prepare the clay and numerous moulds used in producing stock figures were uncovered during excavation for the foundations of the Royal Festival Hall. Many figures were cast from models sculpted by John Bacon and a great variety of allegorical and mythological figures were made by modifying stock figures. The Coade products also included a range of memorial tablets as well as friezes, keystones, and other architectural details. Some early examples are marked with the trade-name ‘ Lithodipyra ‘, from the Greek and meaning ‘twice-burnt stone’. Coade stone products were widely used by eminent architects for the greater part of a century, but financial difficulties eventually brought about the close of the business and the formula for the stone was lost, apparently forever. 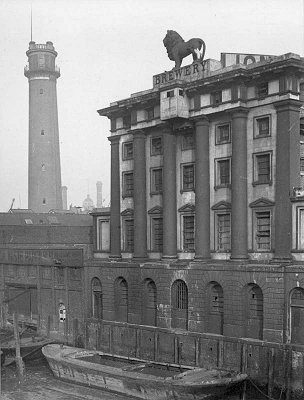 It was widely rumoured that the lion topping the nearby Goding’s Lion Brewery building contained the formula for Coade Stone, but in 1951 the building was demolished and no formula was found. He reasoned that Dorset was a well-established source of building materials in Georgian London, with available transportation for Portland stone and Purbeck slabs. But she [Eleanor Coade] used clay, and the kind nearest to Belmont [Eleanor Coade’s home in Lyme Regis] is Devon ball clay. Experimentation suggested it might make up two-thirds of the mixture. Cornish china clay was also within reach. Add flint, silica from ground soda glass, and an aggregate from local beach sand and grog (crushed pottery). Permutations of that grey, gritty, sparkly material were mixed and fired. They resembled creamy limestone — and through trial and error the proportions were refined to match Coade stone. Laboratory analysis has deemed it an extremely close comparison. Eleanor Coade’s villa is available for rent through the Landmark Trust.